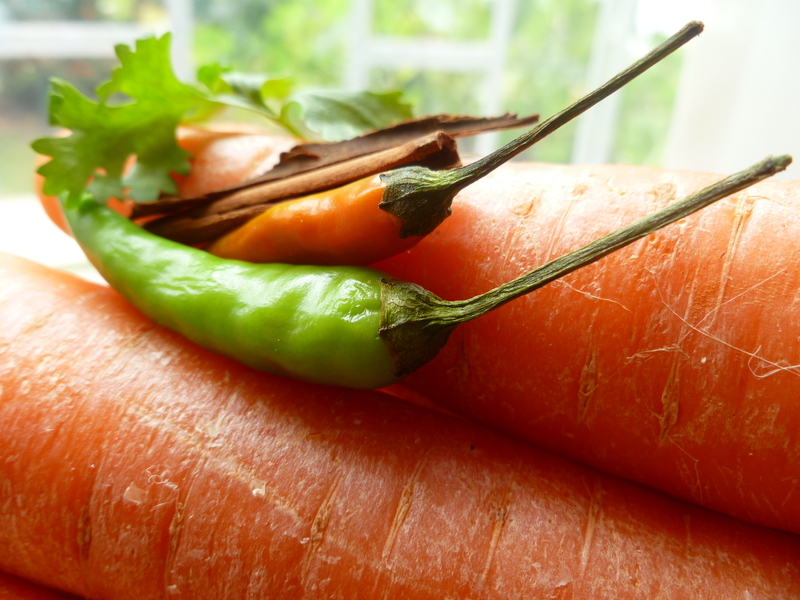 Fruits and vegetables have histories–as do people and events–that are a combination of truth and tale. Fact and story both go into the making of how we think about someone or something. 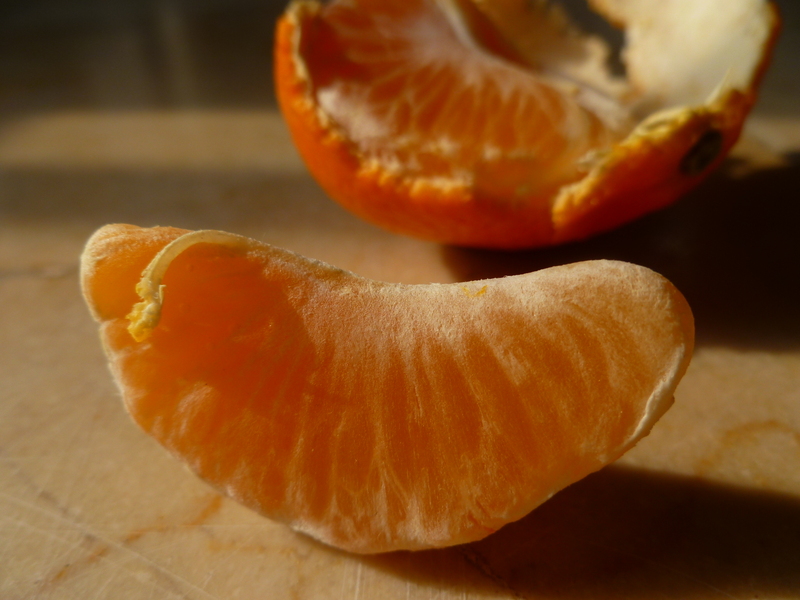 In the case of the Clementine, this pretty fruit’s identity as a form of Mandarin orange is fact. 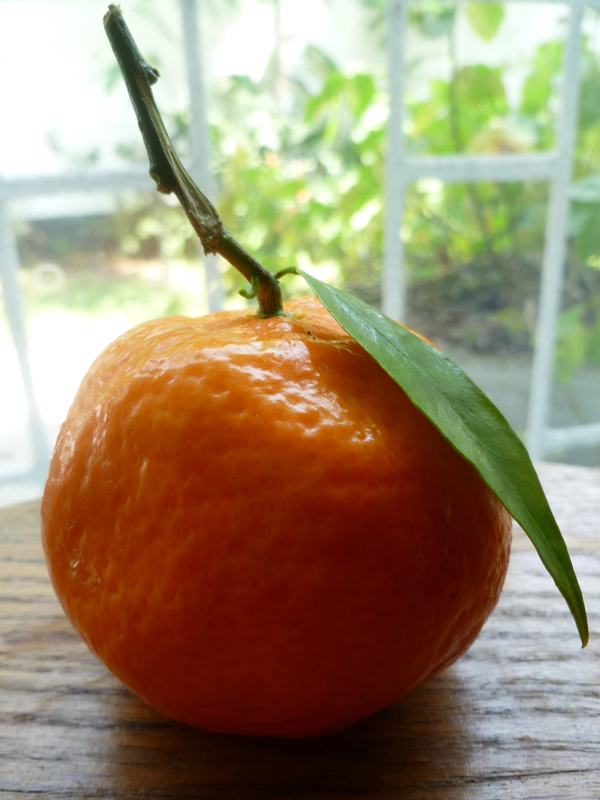 The Tangerine, by virtue of being another type of Mandarin, is related to the Clementine. They aren’t identical, however. 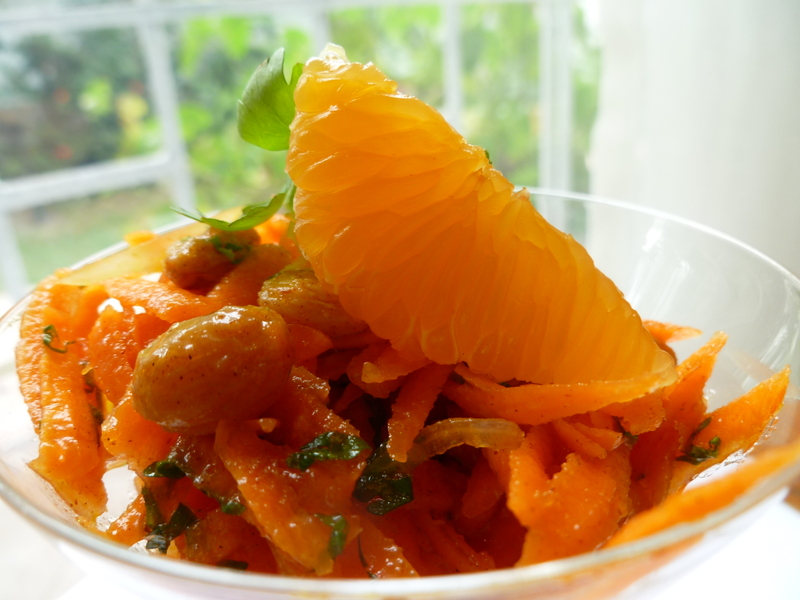 Clementines tend to be seedless, while Tangerines have seeds, and…moving away from the realm of pure fact…it is a widely held view that the Clementine’s juice is sweeter and lacks the Tangerine’s slightly bitter edge. 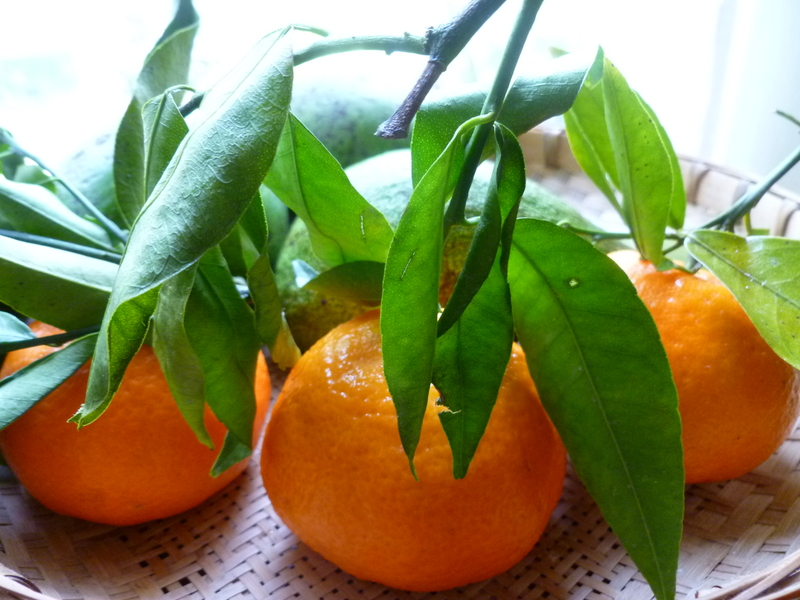 Because the Clementine’s peak season falls in December, they are sometimes called the ‘Christmas orange’ and they are frequently boxed for sale with stems and leaves still attached, which makes them decorative and in the spirit of the holiday as well as very good to eat. Taste and appearance, while matters of opinion, may be personally verified. The story of the Clementine’s origin can’t be. It is said to be the creation of Brother Marie-Clément Rodier (1839-1904) who was a missionary in Algeria at an orphanage established by the Brothers of the Annunciation in the village of Miserghin. Brother Marie-Clément was one of the Order’s noted botanists and worked in the plant nursery attached to the orphanage. One version of the story has it that a young Arab told the priest about a tree growing wild among the thorns that was neither an orange nor a mandarin, which bore delicious, seedless fruit and that Brother Marie-Clément successfully grafted branches of the tree to produce the first Clementine. Another version says that the priest was observing a bee’s progress through an orchard, when he saw it pass from a sour orange to a mandarin tree. He marked the mandarin tree which now contained a mixture of the two trees’ pollens by tying a red ribbon on it, and later, from the matured fruit of that tree, grew a seedling which produced the first Clementines. The journals Brother Marie-Clément kept of his work have disappeared and the orchard’s trees from those days uprooted, but the story of his midwifery of the first Clementine is still as firmly attached to the fruit as his name. 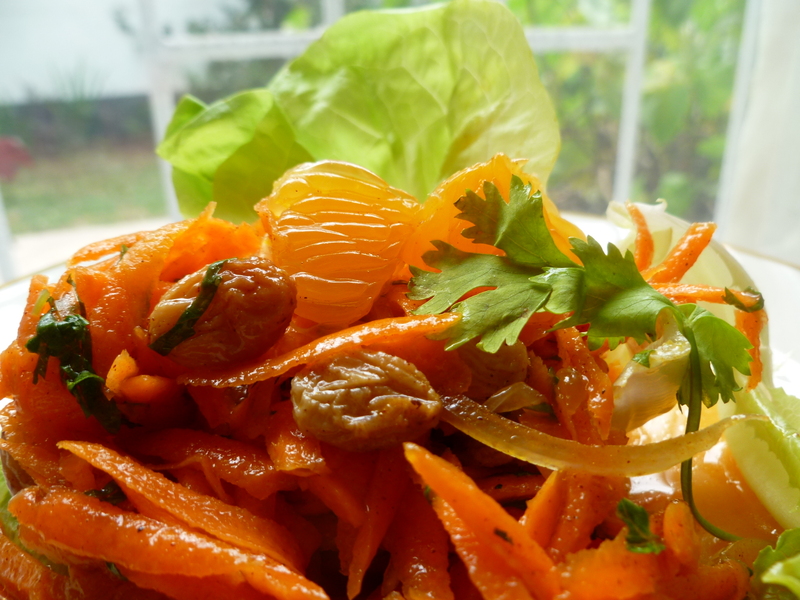 A Note about preparing the salad in advance: With the exception of the fresh coriander, all of the salad ingredients may be grated or chopped in advance. 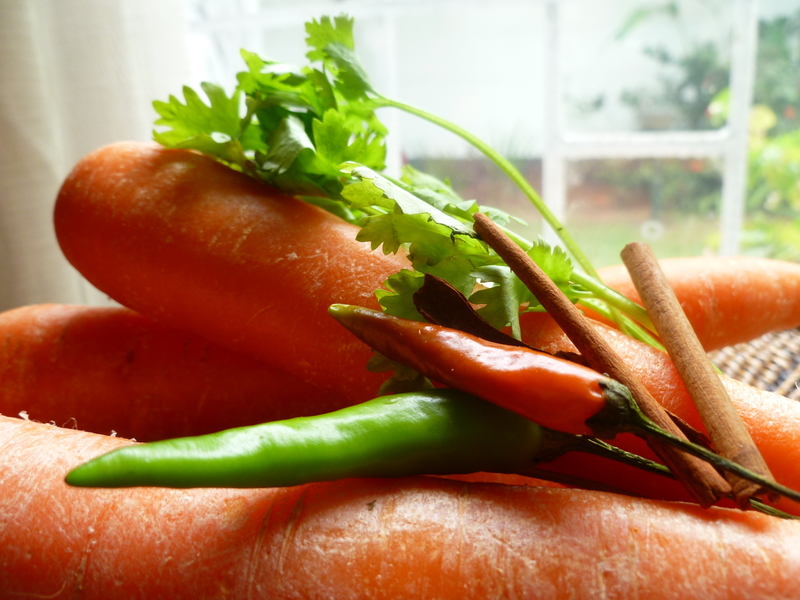 Cut the coriander and mix everything together right before putting the salad in glasses or on plates to serve. 1. 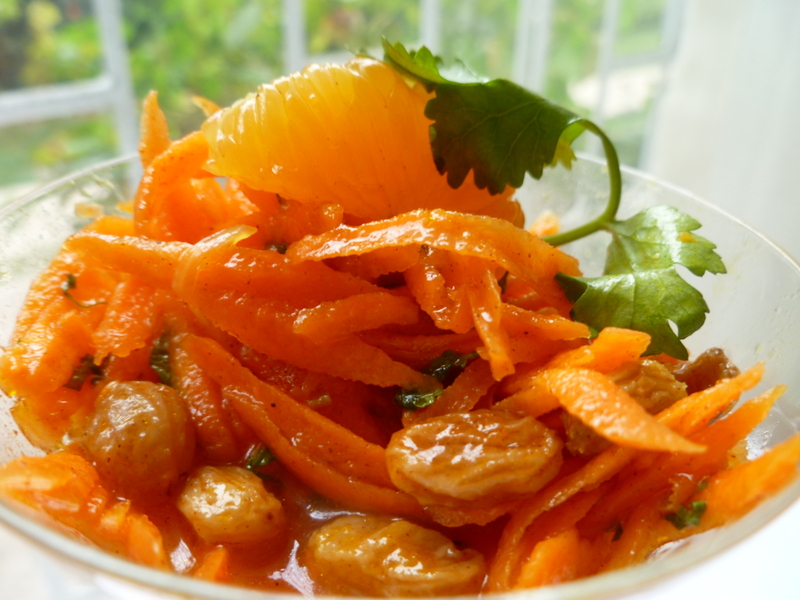 Grate the peeled carrots on the large holes of a hand grater. 3. Add the lime juice, raisins, green onion, chopped chili and cinnamon. 4. Add the olive oil and fresh coriander. 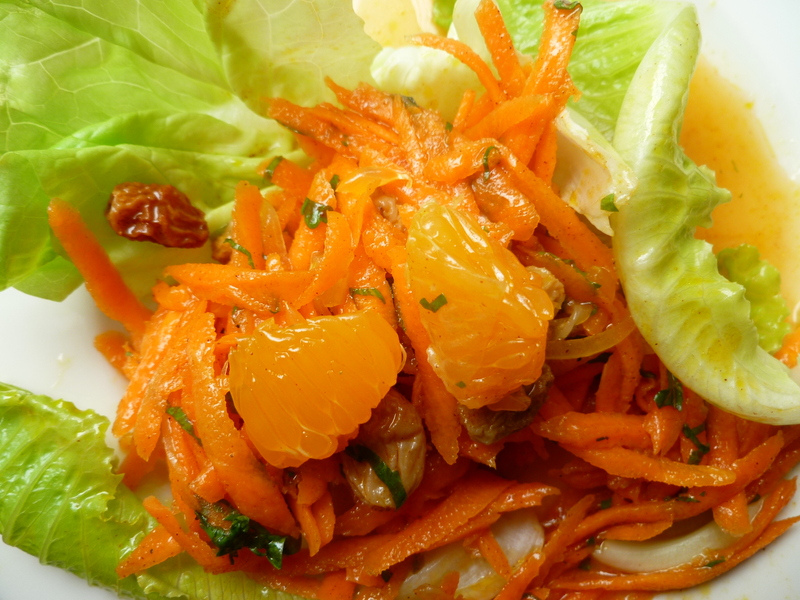 An Ending Note: Carrot Salad Clementine is included in the Dinner Menu: An Evening with the Classics, for carrot, citrus and dried fruit are… a classic combination. And a Postscript: The biography of Brother Brother Marie-Clément Rodier is found here: http://www.spiritains.org/qui/archives/carte/frclement.htm, the website of the Spiritans, a Roman Catholic congregation of priests and lay brothers.